We interrupt this program for another intarsia update. The pattern is now halfway completed, and the armscye shaping will befin on the next row. 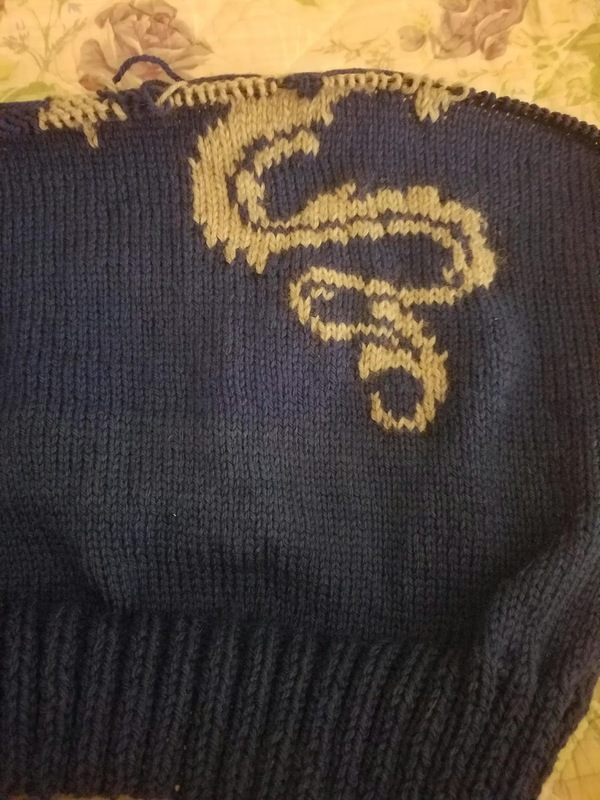 The only problem that has occurred has been an extra stitch added somewhere in the middle, which will be rectified once the pattern is complete. We now return to our regularly scheduled program.